As a restaurant owner your focus is usually on food, atmosphere, your menu and staff. You have a lot on your plate (no pun intended), but having the perfect restaurant is pointless if you aren’t bringing customers to it. How can you do this without breaking the bank? By having a website. According to the National Restaurant Association, 83% of Americans look up restaurant locations, directions and hours of operation on their smartphones. Over 50% of these customers order takeout or delivery right from the restaurant’s website. If you are not offering these features, you are losing potential customers to competition you may not have even known you had. Here are the 5 reasons your restaurant needs a website. Let’s take a closer look at each of these items. What do you do when you’re hungry and don’t feel like cooking? You get online and see what restaurants are close by to order from! So, what do you do if you see three close by, but only one has a website? For most of America, three choices just turned into one. Every good restaurant website answers a few questions immediately – menu, location, hours of operation and reservations (online ordering). You will also want your contact information visible, payment methods you accept, social media links and good reviews. 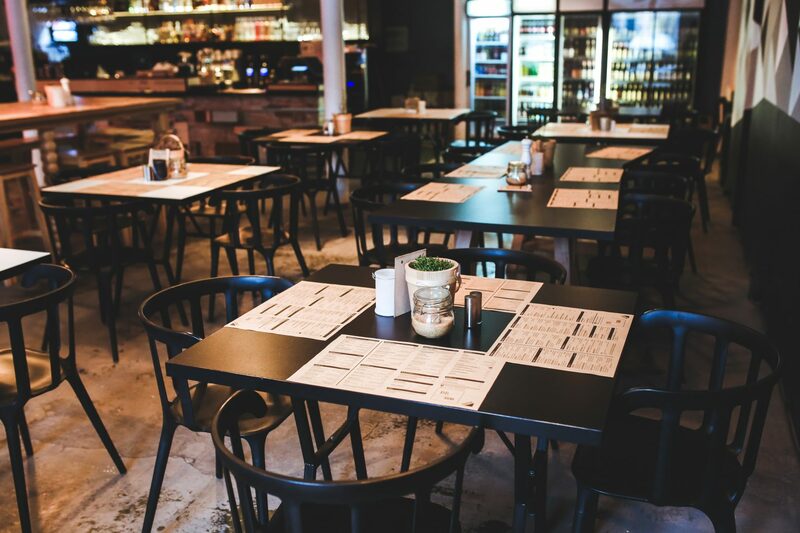 A professionally designed restaurant website will give you the chance to show future customers what you are all about and who you are before they even step inside. This is an opportunity to entice customers with your menu and pictures of how appetizing your food is. Clear photos of people having a pleasant experience at your restaurant will go the distance here. There is a lot of competition in the restaurant industry. We have all seen local restaurants come and go, so you will need to stand out from the crowd. Your website will give you the opportunity to show off why you are the best at what you offer. Plus, customers are more likely to trust a restaurant with a website. It lets everyone know you are serious about your business and more importantly, you are still in business. National chains may have the luxury of launching expensive branding campaigns, but most local restaurants do not. It is all up to you, the owner, to get the word out about your establishment. With the majority of America turning to the web for dinner, not having a website is like not having a sign out front to let everyone know you are even there.